Indian Coast Guard has released the notification inviting application from eligible candidates for the recruitment of Navik (General Duty). The application process starts today and will end on January 2, 2018. 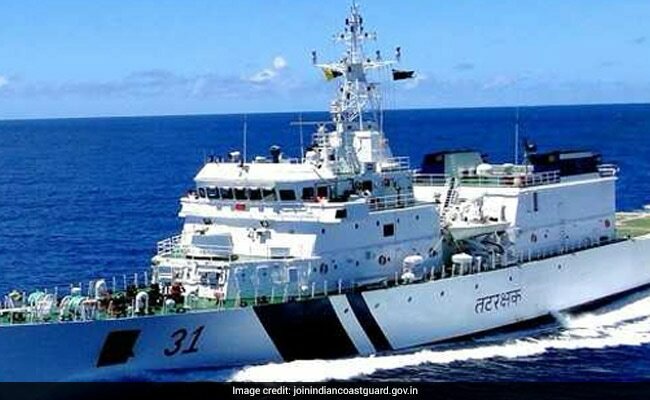 New Delhi: Indian Coast Guard has released the notification inviting application from eligible candidates for the recruitment of Navik (General Duty). The application process starts today and will end on January 2, 2018. The application process will be conducted in the online mode. Candidates must have passed 10+2 with Mathematics and Physics to be eligible for the Navik post. The selection will be based on the marks in qualifying exam, performance in Written Test, and Physical Fitness Test. Candidates should have passed 10+2 with 50% marks aggregate in total and minimum 50% aggregate in Maths and Physics from an education board recognised by Central/State Government. The lower age limit is 18 years and upper age limit is 22 years. Candidates belonging to SC/ST category will be given a 5 years relaxation in the upper age limit and those belonging to OBC category will be given a 3 years relaxation in the upper age limit. Candidates who fulfil the eligibility criteria can apply online through Indian Coast Guard website - http://www.joinindiancoastguard.gov.in/. There is no application fee. Selection of candidates will be made on the basis of a shortlist prepared based on Higher Percentage, Written Test and Physical Fitness Test (PFT).